Command Building Services – Command Building Services can help you with renovations, restorations and new builds. We provide provide residential and commercial building services, with specialist expertise in insurance restoration projects for theft, storm, fire and floods. 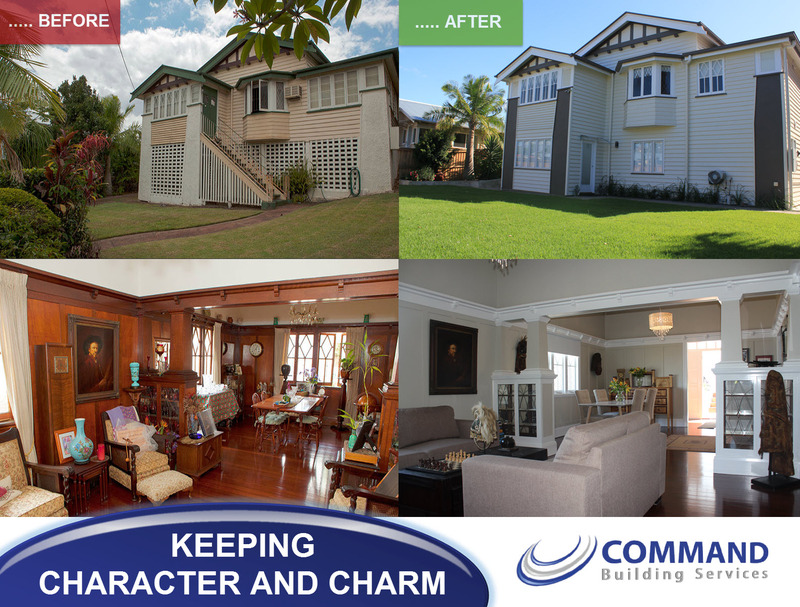 Command Building Services can help you with renovations, restorations and new builds. We provide residential and commercial building services, with specialist expertise in insurance restoration projects for theft, storm, fire and floods. Command Building Services specialise in providing end to end building restoration solutions for the insurance industry. We understand there is much more to an insurance claim than simply completing the project, so we have developed an innovative approach to the process and have demonstrated this on numerous projects throughout the east and south west coasts of Australia. Command Building Services approach is to engage with our clients first and foremost to establish their needs and requirements, then to assist in the provision of their dreams and visions. We aim to make our clients feel safe and confident about their project. We pride ourselves in offering cost effective solutions, highly skilled workmanship together with excellent management and great after care service. Command Building Services Pty Ltd commenced operating in 2008. Since this time we have worked to continually improve our systems and procedures which have progressed the company to a new level. We have found that all trades who have carried out the repairs to our property to be very courteous. Their workmanship has brought our house back to its original state with these repairs. We would recommend this company to anyone who requires any building work to be carried out. All went smoothly. Good communication.